In today’s mobile age, the success of a business depends primarily on how effective it is at reaching and engaging customers, showcasing products and services, processing payments, and delivering an exceptional user experience. A mobile app empowers a business to do all of that and more! Mobile phones have become an integral part of our lives and smartphone apps have become too important a marketing tool for business owners to do without. Developing a mobile app for your business is a great way to connect with your target audience, drive sales and boost brand loyalty. 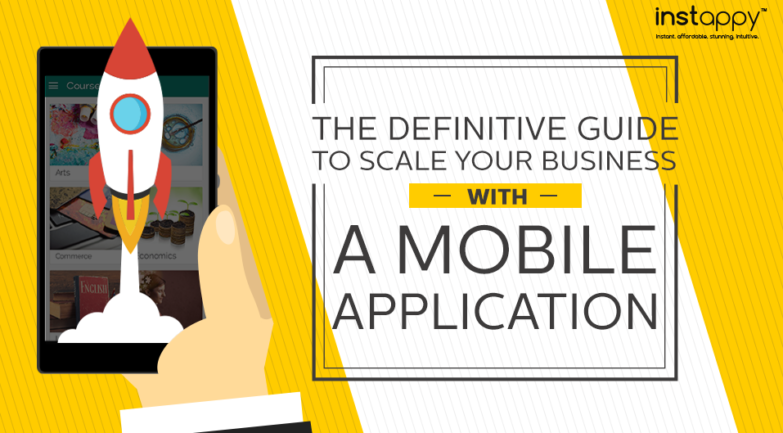 But most importantly, mobile applications enable businesses to scale up without screwing up. Today’s consumers are truly omni-channel. They search for a product on one device and buy it on another. They want to shop in just a few taps, anytime, anywhere and on any device. Businesses need to tap on such ‘anytime, anywhere’ moments – or else they’ll be missing out on potential revenues. With a cloud-based native app, businesses can ensure a consistent and integrated experience across all devices, be it mobile phones, tablets or phablets. Mobile applications have, substantially, become a gateway to boost businesses among the customers by making their presence felt at all digital channels. Today’s consumers are more intimate with their devices than ever before and do not engage with a brand that fails to deliver personalised experiences. Mobile platforms and branded apps have forged new grounds in personalisation, bringing it to the fore. Through the last decade, mobile apps have evolved into custom-built, tailored and personalised platforms that curate user experience based on the unique data of each individual user. Personalised push notifications and in-app messages have emerged as achingly powerful marketing tools that deliver highly relevant, tailored content increasing the likelihood of engagement. The most innovative businesses in the world aren’t deploying mobile apps just for showcasing content, selling products or connecting with their customers. Rather, they use it as an extension of their brand, and rightly so. Smartly deployed, mobile apps can help businesses connect with patrons – conveying personalised messages, putting forth a brand on customer’s radar, widening its global reach, increasing its discoverability by multiple folds and building customer loyalty in a crowded marketplace. Businesses that have embraced mobility have truly transformed what we expect of brands. App monetisation doesn’t end with charging 2.99$ for a download. Matter of fact, only a small fraction of consumers opt for pay-to-download apps. But, businesses have other ways to monetise their apps, running third-party ads being the most popular among them. It doesn’t really end there though. In-app purchases and periodic subscription are emerging as viable models of generating revenues from mobile apps. Businesses are also embracing freemium model wherein the user downloads an app for free but pays to access exclusive sections or features on the app. A mobile app also helps you realize the money left on the table. 67.45% of online shopping carts are abandoned (Source: Baymard Institue). Sending personalised push notifications to such users can help you fix it! Also, a hassled transaction window is the biggest turnoff for a compulsive shopper. A retail app works great to streamline the purchasing cycle, ensuring a smooth transaction. Integrating social media into a mobile app is emerging as a cost-effective way to tap on the power of social reach, build a positive image of the brand and amplify the customer engagement. 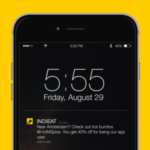 Instappy comes loaded with 50+ social APIs to help you make the most of social. The number is cynical and clearly suggests that traditional advertising is losing its sheen. The million dollar question then is, how to market your business in the age of ad blocking. Businesses need to acquire and engage audience in new innovative ways and mobile apps are emerging as a viable marketing solution. Unlike traditional advertising channels, mobile apps can be strategically leveraged by businesses and marketers to fit seamlessly into consumers’ micro-moments – positively affecting their perception toward a brand and thus driving loyalty and purchase intention. Scaling your business is not a one-time gig. It’s an ever continuing process. But with a smart mobile app builder like Instappy, you can create an app that lets you do it without taking your focus off your core domain or losing your existing customers. Choose a mobile app maker that empowers your business and help you make the most of mobile.